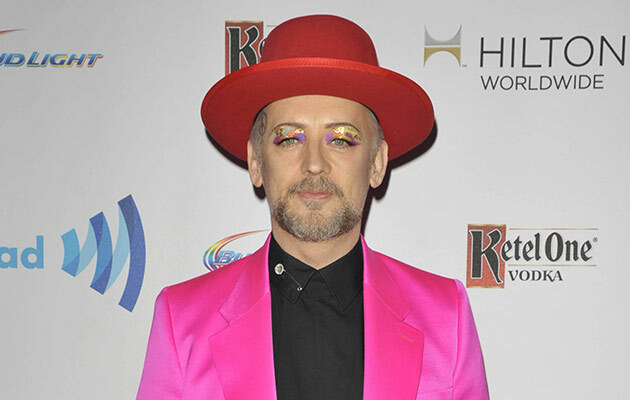 Boy George caused many jaws to drop when he said he had slept with Prince on The Voice UK. The flamboyant 54-year-old singer, who joined The Voice as a coach, was bragging about all the famous artists he has collaborated with during his long career to fellow coaches Kaiser Chiefs frontman Ricky Wilson, Will.i.am and a newcomer, Paloma Faith. “I have duetted with some of the greatest soul singers in history including Luther Vandross and Smokey Robinson,” George said. According to the Sun, the audience went so wild following George’s announcement that production had to be stopped. “Production staff had to come up on stage and speak to them,” a source told the paper. Prince hasn’t commented on George’s revelation. Both singers were known as quite the womanizers in the 1980s, with George hinting several times he might be bisexual. 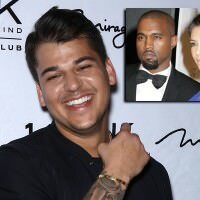 Why Wouldn’t Rob Kardashian Attend His Sister’s Wedding? Will Snooki’s Wedding Air on MTV after All? Still Together? Kris Jenner Wishes Bruce a Happy Anniversary! Ryan Gosling Cleverly Reveals He’s Still Dating Eva Mendes Madonna Reveals She Once Dated Tupac Shakur Taylor Swift and Calvin Harris? Get The Latest Scoop!